Prepaid Mobile Phone Reviews recently uncovered a change at Lycamobile. The MVNO that uses T-Mobile's network to provide service to its customers has increased the amount of data included with its $19 international plan. Previously the plan included 100MB of high speed data, now it includes 500 MB. The change was made on February 1st. 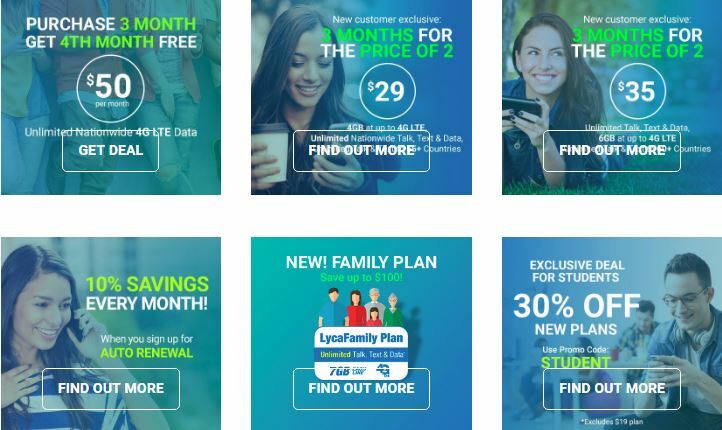 We know that is the date, because Lycamobile has added a running list to its website that keeps track of all of the company's cell phone plan changes. All plans include unlimited talk and text. $19/month - 500MB of hard capped data, international talk and text to 60+ countries. $23/month - unlimited data with the first 1GB at 4G LTE data speeds. International talk and text to 60+ countries. Bonus $1.50 international calling credit. $29/month - Best Value! - Unlimited data with the first 4GB at 4G LTE data speeds. International talk and text to 65+ countries. Bonus $2.50 international calling credit. $35/month - unlimited data with the first 6GB at 4G LTE data speeds. International talk and text to 60+ countries. $45/month - unlimited data with the first 7GB at 4G LTE data speeds. International talk and text to 60+ countries. Includes domestic roaming allotment of 200 minutes and 200 texts. $50/month - unlimited LTE data. International talk and text to 60+ countries. After 32GB of data is consumed in a month, data speeds may be temporarily slowed down during times of heavy network traffic. Includes domestic roaming allotment of 200 minutes and 200 texts. Taxes and fees are not included in the prices shown and they do cost extra. Lycamobile charges 5% to cover those costs. Customers can save 10% on their monthly phone bills by enabling auto recharge on their account. The update to Lycamobile's $19 phone plan was needed to put it in line with the competition. Red Pocket Mobile, Ultra Mobile, and H2O Wireless all offer unlimited international plans with 500 MB of data for about $19/month. The Lycamobile website offers its users a great feature in that all of their promotions are listed on a single page. The page is shown in their website's nagivation menu, so you can't miss it. Promotions include the ability to buy 3 months of service in advance for the price of 2 and a 30% off deal for students. You can see all of Lycamobile's current promotions in the graphic below.